Great cause – join in !!! 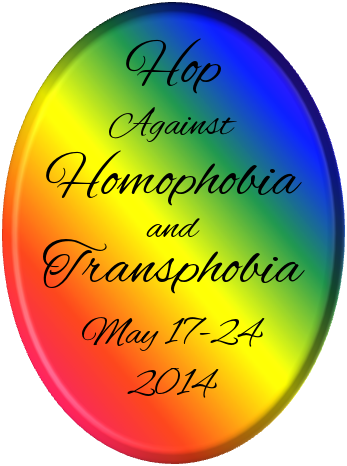 The HOP against Homophobia and Transphobia is part of a campaign for authors, reviewers and designers to stand up against prejudice of our community. Its part of the International Day Against Homophobia and Transphobia and well worth showing your support, even if you aren’t an author. To mark this years HOP against Homophobia and Transphobia, I’m giving away 5 Amazon kindle cards of £10 and 10 tee-shirts featuring the campaign logo on the from with a link to my blog on the back. Check out the “Books on my kindle page” for not just a list of books, but also some reviews to inspire you !!! To be in with a chance of winning one of these prizes, just leave your email address in the reply and who knows ? I may be in touch !!! A list of winners will be published at the end of the campaign – good luck !!! The book ‘The Journey Somewhere’ from your Goodreads reading list sounds interesting (maybe a little philosophical or thoughtful too). They are loads of good books on “Books on my kindle page” too. thanks ray ! glad you liked them and thanks for stopping by !!! I am so glad I have followed along the blog hop this year! Thanks for the chances to win! So many books to check out. Thank you for that and for taking part in the hop. Also thank you for the giveaway! WOW, what a generous giveaway! My goodness. I’m going to promote this so you’ll be sure to get a lot of traffic. Aw, you are so sweet! Wow, it’s fun going through.your books on kindle. Thanks for the giveaway. Thank you for participating! Loving the t-shirt idea! I enjoyed your post. Thanks for being part of the hop.